Catherine Rampell and Nick Wingfield write about the growing evidence for “reshoring” of manufacturing to the United States. They cite several reasons: rising wages in Asia; lower energy costs here; higher transportation costs. In a followup piece, however, Rampell cites another factor: robots. The American economy is still, by most measures, deeply depressed. But corporate profits are at a record high. How is that possible? It’s simple: profits have surged as a share of national income, while wages and other labor compensation are down. The pie isn’t growing the way it should – but capital is doing fine by grabbing an ever-larger slice, at labor’s expense. Wait – are we really back to talking about capital versus labor? Isn’t that an old-fashioned, almost Marxist sort of discussion, out of date in our modern information economy? Well, that’s what many people thought; for the past generation discussions of inequality have focused overwhelmingly not on capital versus labor but on distributional issues between workers, either on the gap between more- and less-educated workers or on the soaring incomes of a handful of superstars in finance and other fields. But that may be yesterday’s story. More specifically, while it’s true that the finance guys are still making out like bandits – in part because, as we now know, some of them actually are bandits – the wage gap between workers with a college education and those without, which grew a lot in the 1980s and early 1990s, hasn’t changed much since then. Indeed, recent college graduates had stagnant incomes even before the financial crisis struck. Berkeley May Create First ‘No Drone Zone’ in U.S. 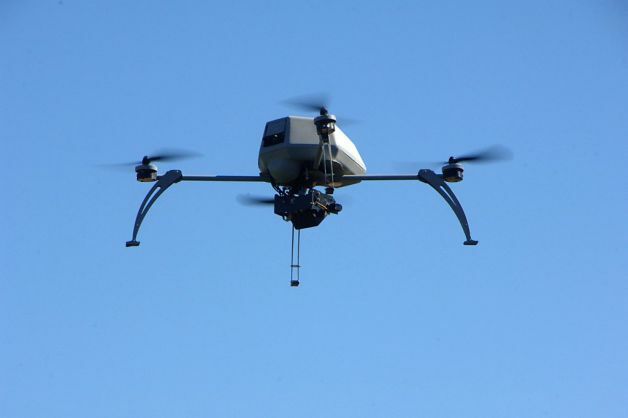 If everything goes according to plan, the Alameda County Sheriff’s Office will soon have a drone, a small unmanned aircraft, to aid with crowd control, search-and-rescue missions and other law enforcement duties that could use a set of eyes in the air. Think of it as the newest tool for law enforcement. Not surprisingly, not everyone is happy about this. The chief concern of critics, including the American Civil Liberties Union, is that the drones threaten the privacy rights of everyday citizens. The Berkeley Peace and Justice Commission went as far as to propose a ban, a “No Drone Zone” in Berkeley airspace for all but hobbyists. But despite the commission’s stern stance, in the not-too-distant future the skies above American cities will host unmanned flying vehicles. Outcry from privacy advocates prompted Alameda County Board of Supervisors to postpone or possibly scrap plans to purchase a surveillance drone for the Sheriff’s Office.Last minute intervention Tuesday morning by the American Civil Liberties Union prompted supervisors to require explicit authorization to use grant money the Sheriff’s Office received to purchase the drone. Now the proposal will have to go to the public protection committee for approval then back to the full board of supervisors. That is likely to happen early next year. Concern has been mounting among privacy groups for months that Sheriff Greg Ahern was forging ahead without rules for deploying a drone in the skies above Alameda County. The ACLU and Electronic Frontier Foundation are concerned about the lack of privacy protections. They were dismayed to find that the Sheriff’s Office was asking the supervisors on Tuesday to approve a $31,646 grant to help pay for a drone, indicating that the department was far closer to acquisition than they had led the public to believe. We know, it’s Friday. And usually, we post a whole bunch o’ videos on Fridays, but since we’ve done that for two out of our last three posts (! ), we figured we’d give you a bit of a break. Instead, we’ve got this little quadrotor from Japan that’s trying to be the next level of paranoia in private security. … senseFly, a Swiss start-up, launched their new eBee aerial photography drone with funding from a recent equity investment by Parrot (of AR.Drone quadcopter fame). With it’s 3’ wingspan the eBee can fly for 45 minutes in up to 25 mph winds. … Two kinds of software drive the eBee: one to create a flight path and the other to turn the 2D geotagged images into 3d maps and reports. … Two videos explain the process. It’s barely three days into 2013, and the Obama administration’s lethal campaign of drone strikes has resumed in earnest. Missiles fired by remotely piloted planes struck targets in Pakistan and Yemen three times in the past several hours, killing several people, including two prominent militant commanders. 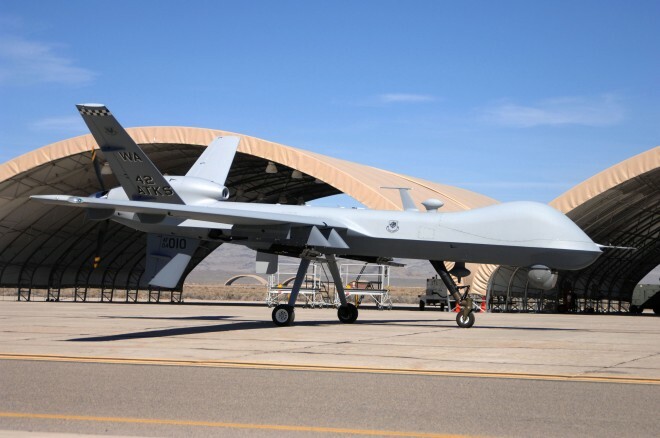 In Pakistan’s South Waziristan province, at least 4 MQ-1 Predators or MQ-9 Reapers operated by the CIA killed a Pakistani Taliban commander, Maulvi Nazir, according to media reports that cite unnamed Pakistani intelligence officials. Nazir had struck a detente with the Pakistani government but, according to drone watcher Bill Roggio at the Long War Journal, maintained ties to al-Qaida and attacked U.S. troops in Afghanistan. The drones fired on Nazir’s vehicle, killing him and at least five others. The Navy’s next wave of robots will take on one of the most dangerous missions on the open water: destroying mines. Anti-mine warfare is a critical mission for the Navy, as nations like Iran can mess with the global economy just by threatening to plant mines in crucial waterways. Drones may be at the center of the U.S. campaign to take out extremists around the globe. But there’s a “pervasive vulnerability” in the robotic aircraft, according to the Pentagon’s premier science and technology division — a weakness the drones share with just about every car, medical device and power plant on the planet. 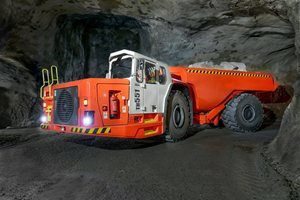 The control algorithms for these crucial machines are written in a fundamentally insecure manner, says Dr. Kathleen Fisher, a Tufts University computer scientist and a program manager at the Defense Advanced Research Projects Agency. There’s simply no systematic way for programmers to check for vulnerabilities as they put together the software that runs our drones, our trucks or our pacemakers. Submariners like to say there are two kinds of ships: subs and targets. The Pentagon’s futurists want to turn that on its head, with a new kind of robotic surface ship that can pinpoint a sub. They’re grabby. They use microbes as fuel. They’re the robots the Navy wants to send to outer space. The Air Force’s multi-billion-dollar drone fleets may have helped against the insurgents of Iraq and Afghanistan. But in a fight against a real military like China’s, the relatively defenseless unmanned aerial vehicles would get shot down in a second. So once again, the air will belong to traditional, manned bombers and fighters able to survive the sophisticated air defenses. At least that’s the Air Force’s official position. Secretly, however, the flying branch could be working on at least two new high-tech UAVs optimized for the most intensive future air wars. Ace aviation reporter Bill Sweetman has gathered evidence of new stealth drones under development by Lockheed Martin and Northrop Grumman — the latter potentially armed, and both drawing on classified funds. 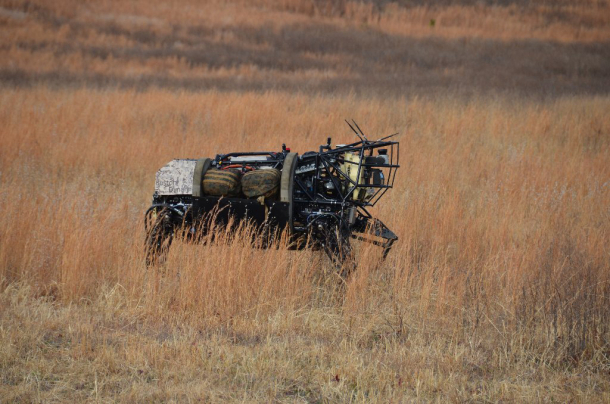 If these robots are real, the Air Force’s drone era is not only not ending — it’s barely begun. The soldiers and marines are packing their bags. The pilots are sitting on the tarmac. But the armed robotic planes are busier than they’ve ever been: Revised U.S. military statistics show a much, much larger drone war in Afghanistan than anyone suspected. Last month, military stats revealed that the U.S. had launched some 333 drone strikes in Afghanistan thus far in 2012. That made Afghanistan the epicenter of U.S. drone attacks — not Pakistan, not Yemen, not Somalia. 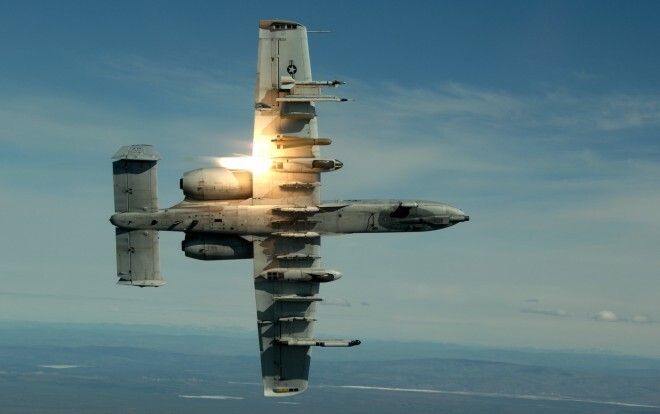 But it turns out those stats were off, according to revised ones released by the Air Force on Thursday morning. There have actually been 447 drone strikes in Afghanistan this year. That means drone strikes represent 11.5 percent of the entire air war — up from about 5 percent last year. The Navy talks about its drone helicopter the way Apple geeks gushed over the first-generation iPhone in 2007. The MQ-8 Fire Scout does it all, from hunting for drugs at sea to spotting insurgents over the battlefields of Afghanistan. But like that early iPhone, the Fire Scout is seriously buggy — so much so that the Defense Department has conceded it will be forced to seriously delay buying all the robocopters it wants. DARPA researchers continue to add new functionality to the four-legged robot originally developed by Boston Dynamics. The weeks after Chinese New Year are typically peak recruiting season for the factories in southern China, which for three decades have produced toys, jeans and electronics for retailers around the world. This year was markedly different. Factory owners in Dongguan, a city a couple of hours drive from Hong Kong that consists of constellations of factories specialising in different products, reported that they were confronted with a labour shortage. “After three weeks of production, a brand-new product was introduced in less than an hour without the need for any new investment from Honeytop.” FOOD AND BEVERIDGE PACKAGING: Robots help packagers work more efficiently, increasing output and reducing change over time. But they address hygiene concerns too. One company in the UK saw firsthand the benefits of automation, which helped the pancake producer streamline its packaging process. 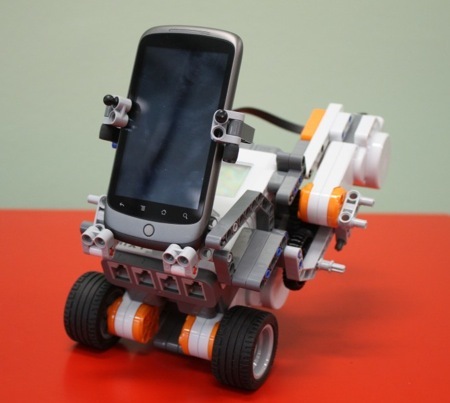 Professor of Robotics and Intelligent Systems Salah Sukkarieh at the Faculty of Engineering and Information Technologies leads a team that is developing robotic devices with the ability to autonomously sense, analyse and respond to their own surroundings. Would You Be Comfortable Trusting Your Health To a Robot Doctor? 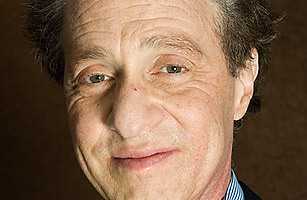 December 8, 2012 – Technology is marching ever forward and the medicine is no exception. CNN’s Fortune Tech predicts tech will eventually take over 80 percent of what doctors do today, and that might be great, but would you feel comfortable putting your life in the hands of Dr.
December 8, 2012 – We may not have had the wide variety of radiation-resistant robots we needed before Fukushima, but we’re certainly getting it now. Following Toshiba’s four-legged dogbot, Mitsubishi is rolling out their own four-tredded tankbot that aims to fix up a disaster site without sending anyone in. Fresh from its maiden flight, this drink dispenser promises to speed up relief for thirsty passengers. Summary: This isn’t just potty talk. The experimental EcBot III uses the microbes in human waste to generate electricity, creating power from the water it cleans. Should Port Workers Be Paid For Work That Disappeared? It seems more top-tier economists are coming around to the idea that robots and technology could be having a greater influence on the economy (and this crisis in particular) than previously appreciated. 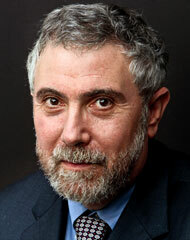 Paul Krugman being the latest. But first a quick backgrounder on the debate so far (as tracked by us). Worrying about automation distracts us from the real problem: misuse of corporate profits. The problem with unions is they can’t protect jobs. They can’t stop a company from moving jobs overseas, closing offices, or replacing workers with automation. I grew up in Connecticut, a heavily unionized state. In the post-war period, the state’s industries made typewriters, appliances, bearings, locks, tools. None of them survived. Through the 1960s and into the 1980s, thousands of factory workers lost their jobs, including my father. These jobs were lost because of globalization and changes in technology. The unions did not cause these job losses, and IT workers provide a good example as to why. In Connecticut, the big IT employers are financial services firms, insurance companies mostly. These firms aren’t unionized. In the late 1990s, financial services firms began offshoring work and IT jobs were cut. The same forces that dismantled manufacturing jobs were now attacking highly skilled, knowledge-based jobs. Imagine that 7 out of 10 working Americans got fired tomorrow. What would they all do? It’s hard to believe you’d have an economy at all if you gave pink slips to more than half the labor force. But that—in slow motion—is what the industrial revolution did to the workforce of the early 19th century. Two hundred years ago, 70 percent of American workers lived on the farm. Today automation has eliminated all but 1 percent of their jobs, replacing them (and their work animals) with machines. But the displaced workers did not sit idle. Instead, automation created hundreds of millions of jobs in entirely new fields. Those who once farmed were now manning the legions of factories that churned out farm equipment, cars, and other industrial products. Since then, wave upon wave of new occupations have arrived—appliance repairman, offset printer, food chemist, photographer, web designer—each building on previous automation. Today, the vast majority of us are doing jobs that no farmer from the 1800s could have imagined. Pima County announced that Accela Automation is its new enterprise software for service delivery to eight Public Works departments. Brooks Automation Inc., a Chelmsford-based provider of automation, vacuum, and instrumentation products for such markets as the semiconductor industry, said it will cut 100 jobs, or 6 percent, of its workforce as it looks to “achieve cost synergies” following an acquisition and to improve profitability in a tough economic environment. 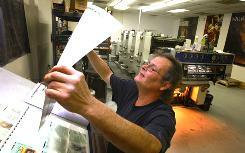 The company added that 29 jobs of the jobs being be cut are in Massachusetts. The cuts will leave Brooks with a Bay State headcount of 605 employees. Brooks recently acquired Crossing Automation Inc.
December 11, 2012 – Eerily reminiscent of the design of Sonny and the other NS-5s in I, Robot, Kenshiro is the University of Tokyo’s latest attempt to create a humanoid robot that accurately mimics human movement. 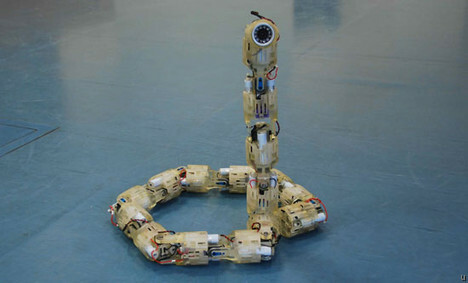 Roboy is a tendon-driven robot designed to emulate humans, right down to the gestation period. The Northrop-built drone touched down late Tuesday night at Edwards Air Force Base in Southern California after spending more than a day aloft. No unmanned aircraft in the American arsenal flies higher or longer than the Global Hawk. On Tuesday, it soared high and long, powered by a blend of synthetic fuel. The Northrop-built drone touched down late Tuesday night at Edwards Air Force Base in Southern California after spending more than a day aloft. Both the Navy and Air Force have flown numerous other aircraft using other non-traditional jet fuels, but this is both the first for an unmanned aircraft, and the first time any type of aircraft has flown with this type of fuel. JP-8 jet fuel (the kind typically used in the Air Force) was combined with a synthetic paraffinic kerosene derived from liqufied coal, and another derived from natural gas, to make up the blend. Black Friday has passed, but the holidays are upon us and shopping days are increasingly few. Having a hard time finding the perfect gift for that tiny emirate hoping to psych out Iran or the large NATO ally looking to fight terrorism in Iraq? Fortunately for you, WikiLeaks has revealed the number one item atop seemingly everybody’s wish list: drones. Only a select few close American allies have the export-restricted Predator B (a.k.a. 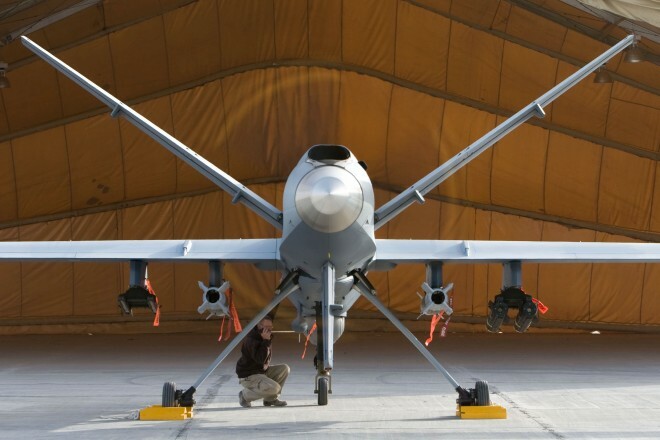 MQ-9 Reaper) armed drones, but that hasn’t stopped countries from the United Arab Emirates to Turkey from pestering & pleading with America to sell them the shiniest new toy, the WikiLeaks document show. 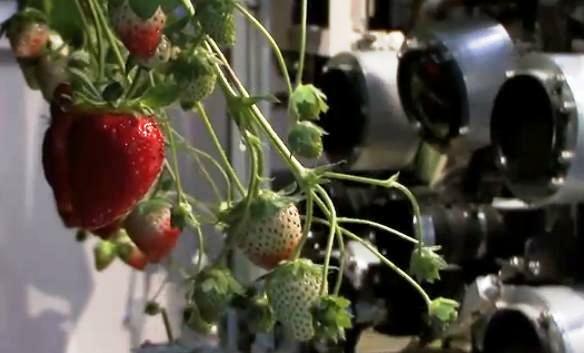 Japan prepares to unleash a strawberry-harvesting robot on the world. Some people are scared of clowns, some of zombies. I’m scared of giant robots with knives programmed to slice meat from a pig’s thigh. Robots serving food in this restaurant in . . . China! 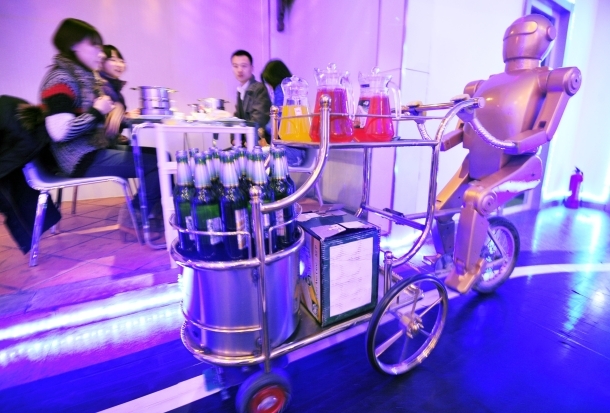 At China’s Dalu Rebot (sic) restaurant, patrons are greeted by robot receptionists and attended by robo-waiters. Fortunately, real-life cooks are on hand in the kitchen. Sales of telepresence and security robots are helping to drive the latest forecast. 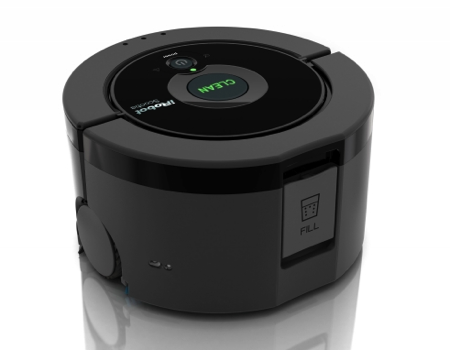 While many consumers’ current interaction with robots is limited to those that clean their floors, pools, or gutters, ABI Research, in its market study “Personal Robotics,” forecasts that the personal robotics market will grow to more than $19 billion in 2017, driven in large part by sales of telepresence and security robots featuring high-quality cameras, microphones, and processors that allow the robots to serve as interactive substitutes for human beings. The engineers say the technology now exists to design robot assistants competent to perform in the high-stress environment of a hospital emergency room. advantage of Section 179 tax incentives. France is set to join the select club of countries that have developed advanced adult-size humanoid robots. Paris-based Aldebaran Robotics, famed for its small humanoid robot Nao, is working with major French research organizations to build a larger and more capable humanoid called Romeo, to be unveiled next March. Designed to assist elderly and disabled individuals in their daily activities, the 1.4-meter-tall robot will be able to walk through a home, fetching food from the kitchen, taking out the garbage, and acting as a loyal companion who helps entertain its owners and keep tabs on their health. Aptly named Athlete, bipedal robot developed in Japan takes a biomechanical approach to running in an attempt to mimic human flexibility and agility. Register on line for the TSJ 10th annual curriculum fair at this URL — complete opening keynote/plenary, workshops, resource tables and curriculum exhibits program is now listed on line. 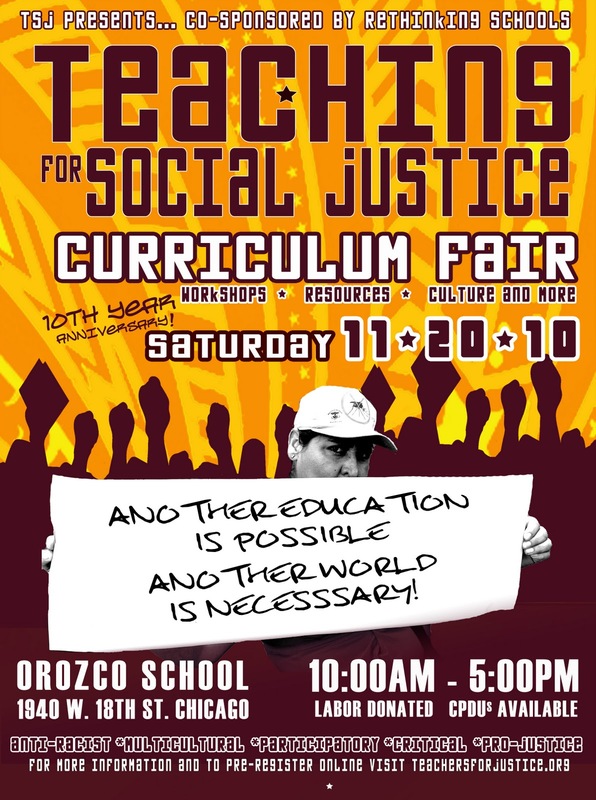 10th Annual Teaching for Social Justice Curriculum Fair! In “science fair” format, and completely grassroots volunteer-organized, the Curriculum Fair will provide over 600 educators, activists, parents, youth & community members with a space to share curricula, resources, and inspiration. We’ll be making friends & building relationships, exploring ideas & projects, connecting our histories & struggles. All in a spirit of social justice and education for liberation.